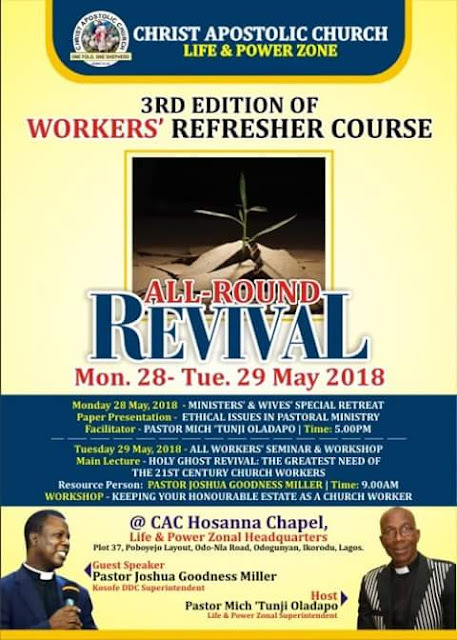 In order to equip its workers with the greatest need in this century for effective and fruitful work, Christ Apostolic Church, Life and Power Zone, Odo-nla, Ikorodu Lagos will next week hold the 3rd Annual Workers' Refresher Course. 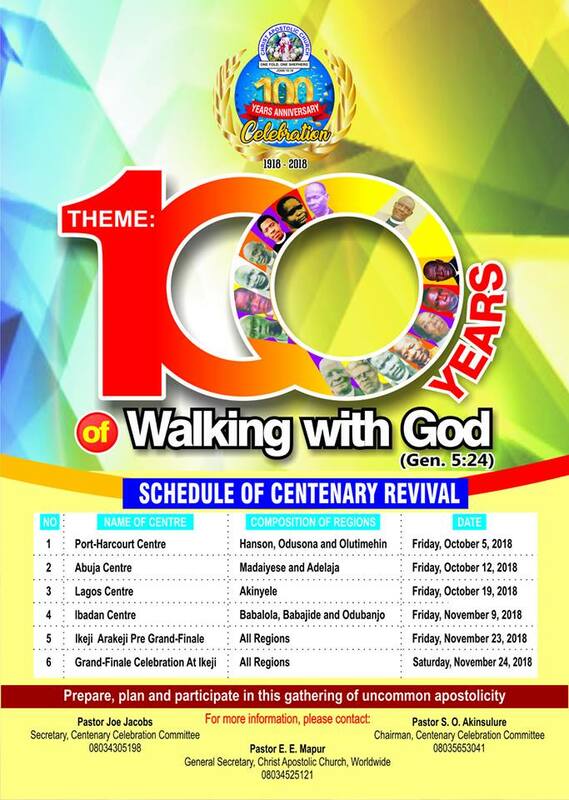 CAC NEWS gathered that the programme tagged "All Round Revival" will start on Monday 28th and end on Tuesday 29th May, 2018. There will be Ministers' and Wives' Special Retreat on Monday 28th May with the topic: "Ethical Issues in Pastoral Ministry," by 5pm. The facilitator is the Zonal Superintendent, Life and Power Zone, Pastor Mich 'Tunji Oladapo. 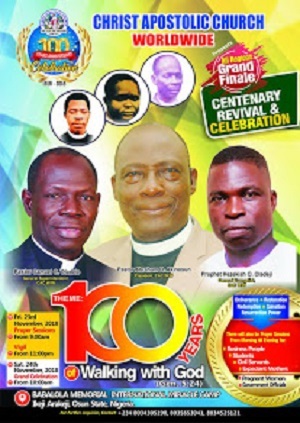 The retreat will end with all workers' seminar and workshop on Democracy Day by 9am with the topic; "Holy Ghost Revival: The Greatest Need of the 21st Century Church Worker." We gathered that the resource person is the Superintendent, Kosofe Districts' Coordinating Council (DCC), Pastor Joshua Goodluck Miller. All the programmes will hold at Life and Power Zonal Headquarters, Plot 37, Poboyejo Layout, Odo-nla road, Odogunyan, Ikorodu Lagos.